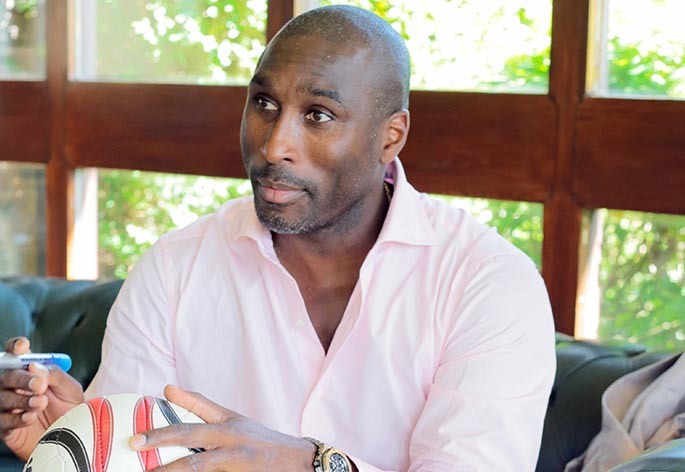 Booking Sol Campbell will go down a storm at your special event! 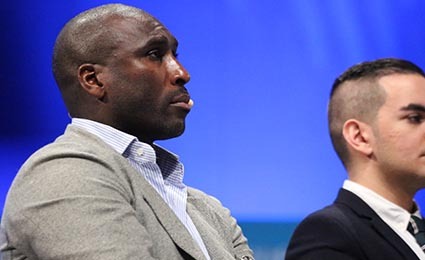 We are a booking agent for Sol Campbell, and can arrange for him to entertain your guests. Sulzeer Jeremiah “Sol” Campbell is a retired English footballer, best known for his position as central defender and Captaining the England Squad. Sol Campbell has played for Tottenham Hotspur, Arsenal, Portsmouth and Newcastle United, and represented his country in the sport. In 2001 Sol joined Arsenal, Tottenham’s North London rivals, which was a well known free transfer within the Premier League under the Bosman ruling. At Arsenal, Sol Campbell won two Premier League winners medals and three FA Cup winners medals, encompassing the 2001–02 League and FA Cup double, and being part of the team that became known as The Invincibles for their undefeated 2003–04 Premier League campaign. 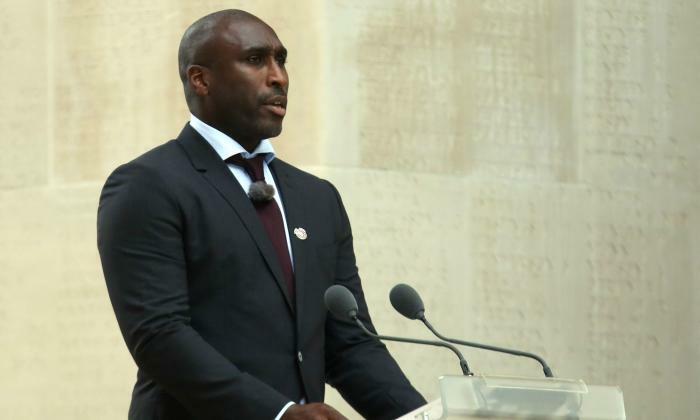 At 28 years old, Sol Campbell became England’s second-youngest captain, after Bobby Moore. Campbell’s first goal for England came in the 2002 World Cup in the opening group game against Sweden. Sol Campbell’s other achievements in the game include being in the Professional Footballers’ Association Team of the Year three times, in 1999, 2003 and 2004. Contraband is the UK’s top booking agent, with friendly, knowledgeable account managers who guarantee you the best deal possible. 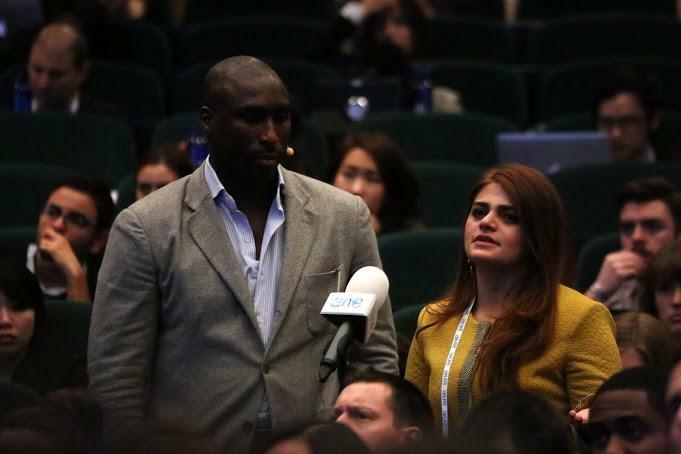 Contact us today if you would like to book Sol Campbell to be the headline of your event! 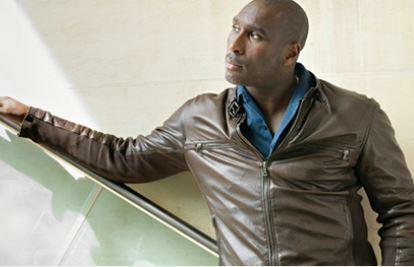 We as your booking agent are more than happy to help you create the most memorable moments with Sol Campbell. Sol has a fresh and charismatic approach to the stage and we are very thankful that he managed to join us this year.